Apparently our Creamsicle-colored commander in chief has spent so much time basking in the artificial glow of tanning beds that he can’t even understand when someone is throwing shade at him. In a conversation with the newspaper he calls “the failing New York Times,” Donald Trump boasted that Rep. Elijah Cummings (D-Md. )—who has repeatedly demonstrated his willingness to speak truth to the Trump administration’s autocratic power—heaped praise on the doll-handed dictator in a private meeting. “Elijah Cummings was in my office and he said, ‘You will go down as one of the great presidents in the history of our country,’” Trump told the New York Times, according to transcripts from a Wednesday interview. “Really,” replied the Times’ Maggie Haberman. “And then he went out, and I watched him on television yesterday, and I said, ‘Was that the same man?’” Trump added. 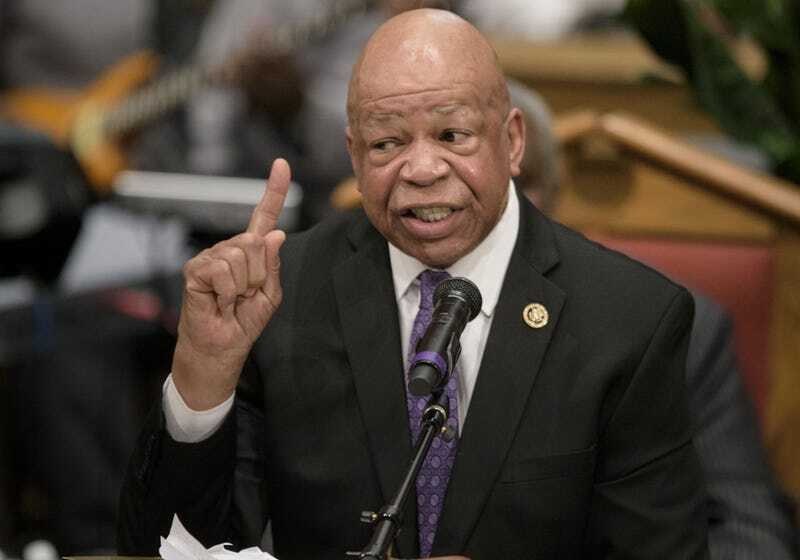 Cummings has a record of setting the president straight, and he usually does it to Trump’s face. Last month, after a meeting with Trump, Cummings recounted for CNN details of another meeting he had had with Park Avenue Putin. I said there are vibrant and many, many vibrant African-American communities throughout this country. People doing extremely well. And I said I’ve lived in the same house for 35 years in the inner, inner city of Baltimore. I don’t feel threatened; I feel very good about it. I—on the other hand—totally understand that Trump’s version of the story was not exactly a lie. When I was 6 years old, my mother told me that I’d make a great superhero if I could fly and was born on the planet Krypton. That means she thinks I’m Superman, right?